Learn how to get started as a freelancer without taking any risks. Learn what kind of mistakes other freelancers are making with actual real-world examples. The book includes email templates, freelance contract templates, 70+ job sites, and more free stuff. This book includes everything I've learned in the past 6+ years as a freelancer. Here’s what you get from this book. 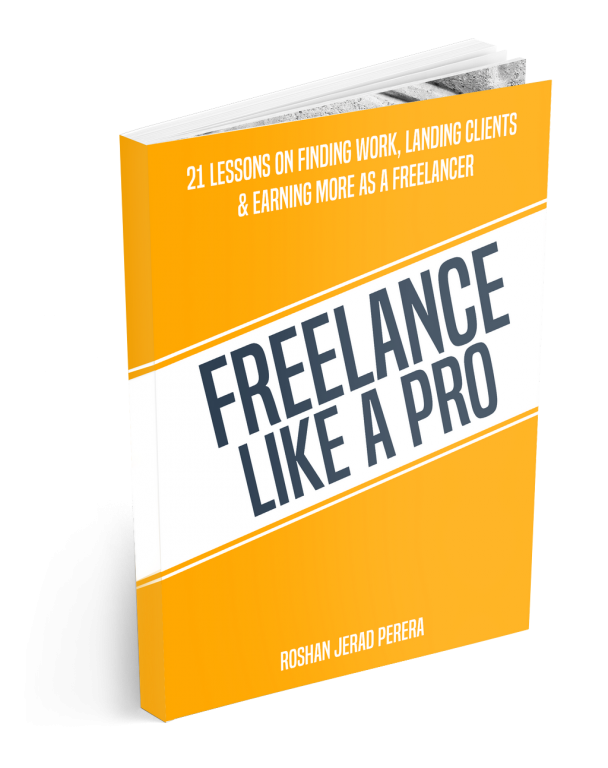 Unlike other books on Freelancing, this eBooks offers an actionable plan that you can go through step-by-step to get started in freelancing and build a profitable career. This is a book for both beginners and freelancers who are looking find more work to earn a profitable income from home. No need to quit your job or take any risks. With this guide, I will teach you how to properly get started as a freelancer without taking a risk and earn a profitable income to achieve financial freedom. All you have to do is read 1 chapter per day and take necessary action that I advice in each chapter. What Qualifies Me To Give You Advice? I’ve struggled for over 4 years before making a profitable income as a freelancer. That’s because I made a lot of mistakes along the way and I had no one to give me advice. That’s why I wrote this book outlining all the mistakes I made and all the strategies that helped me to reach my $5K a month goal. 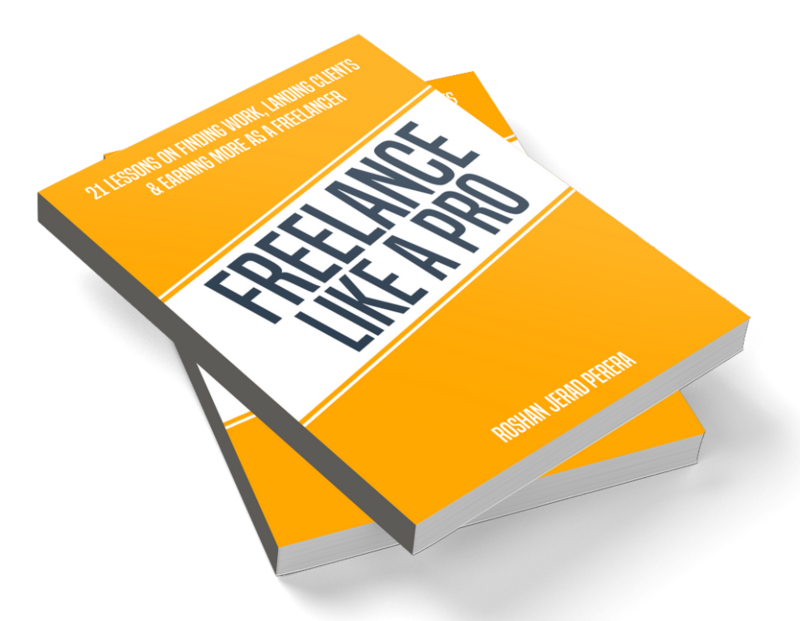 I wanted to make this the perfect book you can find on freelancing. So, I went through all the freelancing related books on Amazon and copied all the reviews people have left for those books. Then I analyzed them to figure out what type of content people really liked and what they wished the books had included. Then I compiled all those ideas with my own experience to craft the chapters of this book. PDF version of the book is fully illustrated with graphics, screenshots, and artworks to offer an entertaining reading experience.